Hello guys! 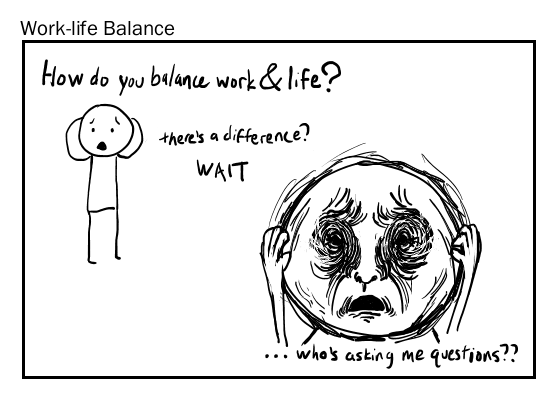 Ever wanted to know about our work-life balance? Here is a comic that talks about that. Hi everyone, this is Dan Lin, the lead artist for mindful xp. This includes the graphic design (though Mike is some of that), 2-D art, 3-D art, etc. Each week I’ll try and post some process art and maybe some random comics about the project. 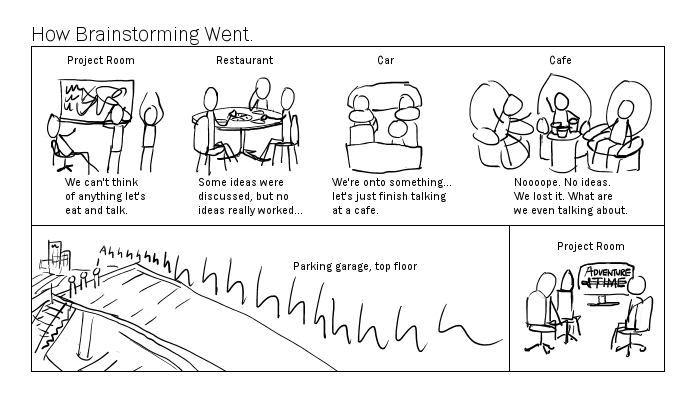 Here’s a comic about our brainstorming for our upcoming game this week.